Hi, all! 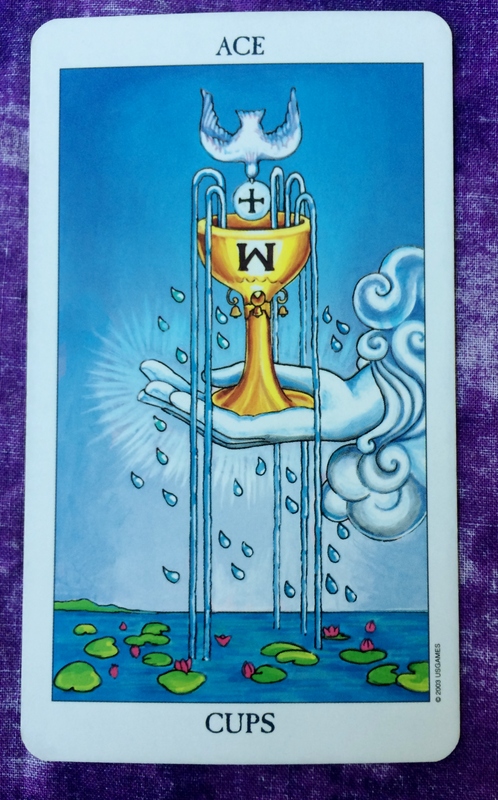 The Tarot card for today is the Ace of Cups. This is an awesome card to start the week. 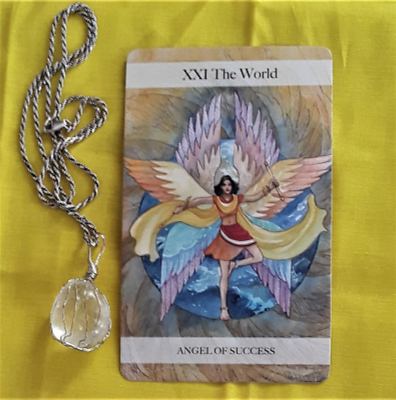 And if you are in the U.S. off from work due to the Labor Day holiday, you may have lots of spare time to meditate on and take full advantage of its energy. The Ace of Cups is all about new beginnings when it comes to matters of the heart. This could be new romantic partnerships or new friendships. But looking at it another way, this could be the day you reset your inner emotional world. Consider putting into practice things that benefit you. You can start small by consciously taking the time to eat your favorite fruit, read your favorite magazine, or go for a long walk — whatever it is that you enjoy doing. Or you can go bigger, like choosing to unconditionally see yourself in a positive light, to look at yourself in the mirror with complete acceptance and appreciation. What are the simple and not so simple ways you can love yourself? How do you get yourself from self neglect to self care? Why not take those first steps toward that goal today? Wishing you all peace and love. Have a great day. The Tarot cards for today, Saturday, and Sunday are the Tower and the Four of Wands. This may seem like a scary combination, but my guidance is telling me that it is not as bad as it seems. 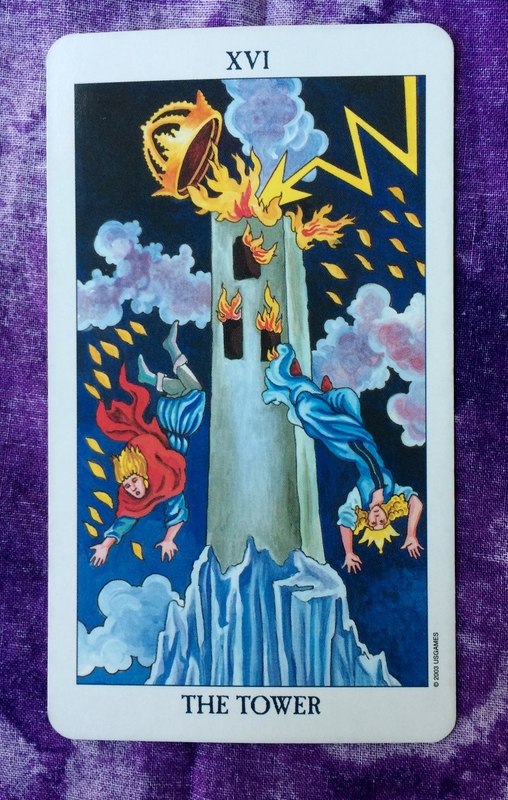 The Tower represents sudden changes, shake ups, and things falling apart. 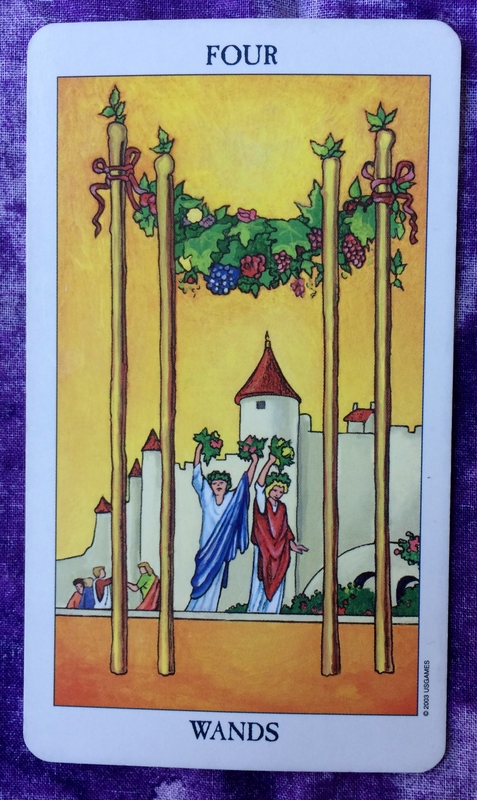 The Four of Wands can represent celebrations and solid foundations. In the United States, this is a long weekend with Monday being the Labor Day bank holiday. So any plans you have for celebrations or get togethers this weekend may not go smoothly or may even fall through. But you never know: Your new plans could turn out to be 1,000 times better than the original event would have been!